We finally have the Olympus OM-D E-M5 with us, and anyone not familiar with this small Micro Four Thirds wonder camera can check out our entire coverage here. Note that we’ve opted for the $1,099 kit with the 14-42mm lens and we’ll be taking the camera through its paces over the coming weeks. As we like to spend some time with a gadget before we review it, I thought it would be wise to bring you some first impressions of this mirrorless interchangeable lens camera after a few days of use. There’s a lot to like with this camera, Olympus has thrown everything but the kitchen sink into it, and it’s a serious contender against even much bigger DSLRs. Still there are a couple of niggles, but read on for our first impressions. 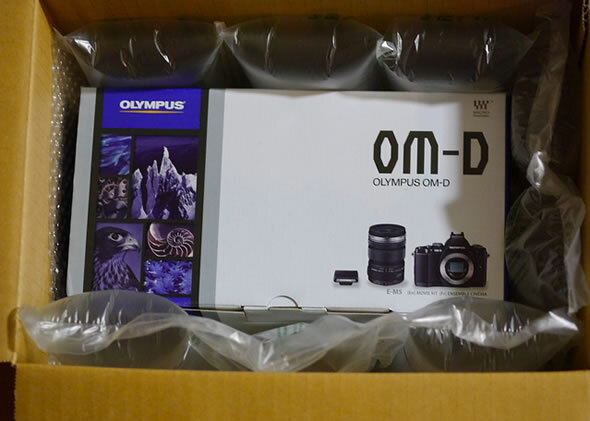 The Olympus OM-D E-M5 is already shipping in Asia and we’ve seen the first unboxing photos here. We had high hopes that the rest of the world would be receiving their new Micro Four Thirds wonders soon as Amazon UK had been listing the E-M5’s shipping date as April 1st. While the rest of the world is still holding its breath for the Olympus OM-D E-M5 digital camera, the Micro Four Thirds shooter has already started shipping in Asia. A lucky Flickr user, Zetton Nara, just got his silver 12-50mm kit lens version delivered and was kind enough to post a couple of shots from the unboxing process. You can check the full set of drool-worthy photos here, including a pairing of the E-M5 with the Olympus Four Thirds 50mm f/2 macro lens seen below. 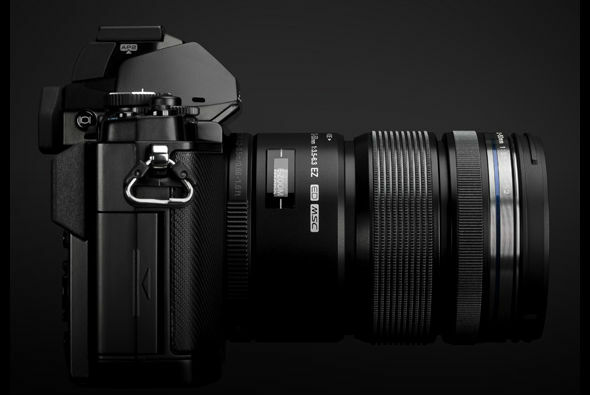 We can’t deny that we are anxiously waiting for Olympus’s upcoming high-end Micro Four Thirds digital camera. 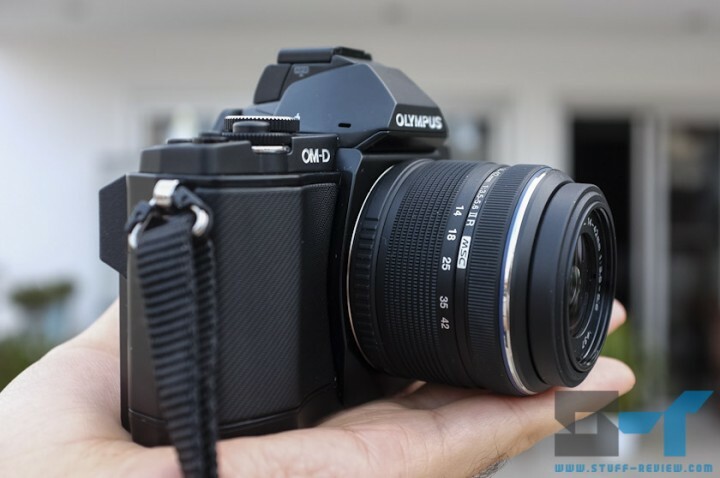 The Olympus OM-D E-M5 should start shipping any day now if Amazon UK‘s 1st of April ship date pans out, while BHPhotoVideo has the camera shipping on April 16 in the US. So what if you want to get this 16.1-megapixel, 5-axis in-body image stabilization shooter underwater? Well Olympus has you covered. 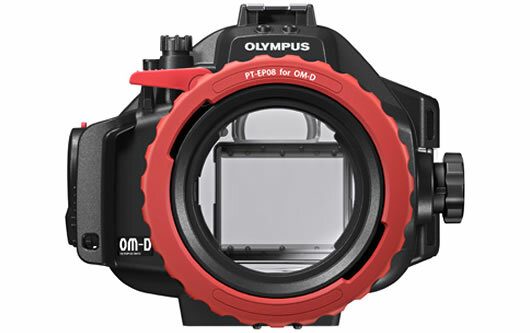 Together with the E-M5, Olympus had announced the PT-EP08 underwater housing. The PT-EP08 is rated waterproof for up to 45 meters and you can use it together with the M.Zuiko Digital 14-42mm II, 14-42mm IIR and ED 9-18mm lenses using the separate PPO-EP01 lens port. Olympus will also release a lens port compatible with a couple of Four Third lenses like the Zuiko Digital ED 50mm f2.0 Macro and 35mm f3.5 Macro. 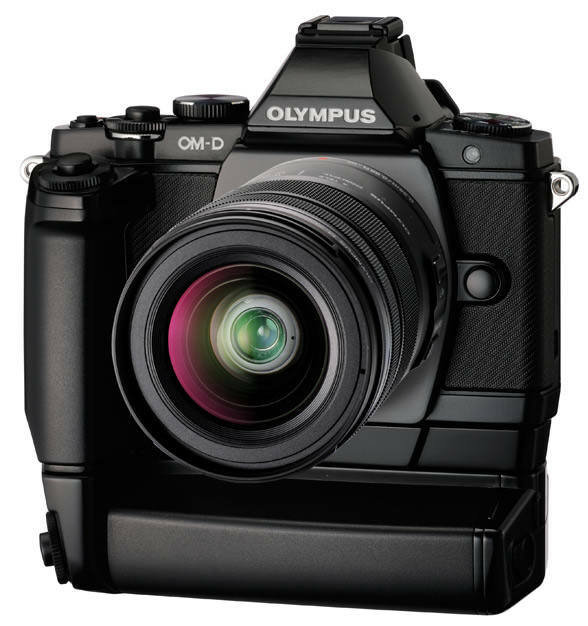 Amazon UK now has the newly announced Olympus OM-D E-M5 up for pre-order here. The 12-50mm lens kit goes for £1,150, while you can get the body only for £999 here. Though British Micro Four Thirds friends will have to shell out more than their counterparts across the pond, Olympus is offering a nice sweetener to the deal. Anyone ordering the Olympus E-M5 in the UK before the 30th of April will get the HLD-6 battery holder and grip for free. The HLD-6 kit contains both the landscape grip and the portrait grip with extra battery holder. Considering that otherwise you would be looking at around £200-250 for the grip only, it’s not such a bad deal. Olympus Australia has posted five new videos covering every facet of the new Olympus OM-D E-M5 Micro Four Thirds mirrorless camera. The demo videos cover the 5-axis in-body image stabilization, the camera’s superfast autofocus with 3D object tracking, 9 frames per second burst shooting and the new electronic viewfinder. We’ve especially noted how much Olympus has improved on the software for the camera. 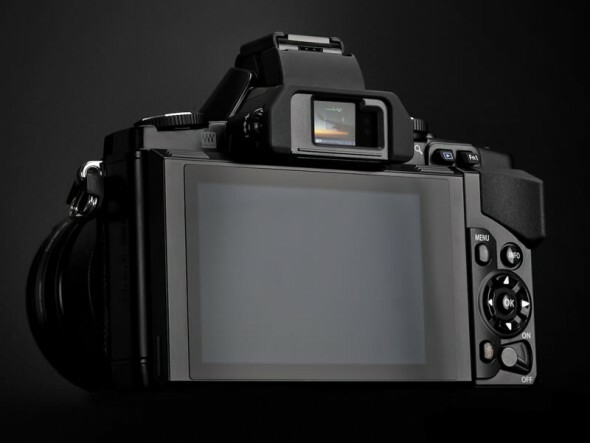 There are three different styles of information overlay in the EVF and some innovative creative controls, like an adjustable highlight and shadow curve. The latest info point to an early-April shipping date for the camera, which can be pre-ordered now in the US here and here, UK here and Germany here. We’ve been covering the Olympus OM-D E-M5 Micro Four Thirds (MFT) digital camera ever since it was initially rumored and following the official announcement two weeks ago, we now have a long wait until it finally ships this April. We’ve already done a spec comparison to other high-end mirrorless cameras and we’ve seen how it sizes-up against the competition, but of bigger importance is how it actually performs and especially in low-light — a sticking point for the otherwise excellent MFT format. The first high-ISO test of the Olympus E-M5 showed some promise, with little noise or artifacts up to ISO 3,200. During the weekend, Four-Thirds User has posted a high-ISO comparison between the E-M5 and the previous generation Olympus PEN E-P3. As previously, the test was done with a pre-production version of the E-M5 but the results are impressive. If you are a friend of mirrorless digital cameras it probably means that compactness is high on your priority list. Though much info has been coming in on the autofocus speed and high-ISO performance of the newly announced Olympus OM-D E-M5 Micro Four Thirds (MFT) camera, we haven’t really tackled its size compared to other mirrorless camera. We can’t deny that the Olympus OM-D E-M5 Micro Four Thirds (MFT) digital camera stole our hearts. However the big question in our minds has been on how the camera would perform at low light and/or high ISO. Typically, Micro Four Thirds cameras have lagged other mirrorless cameras with larger sensors, like Sony’s NEX series, in this regard. We’re still far off from the April ship date of the Olympus E-M5, so we can’t yet test the low light and high ISO performance on a production unit, however a number of high ISO shots taken with a pre-production model have been doing the rounds. We needn’t say much on the state of the competition in the compact mirrorless interchangeable lens camera (MILCs) space. In the short period of a few months we’ve seen the release of some pretty amazing high-end mirrorless shooters with very distinct design and engineering decisions and featuring a number of innovations. 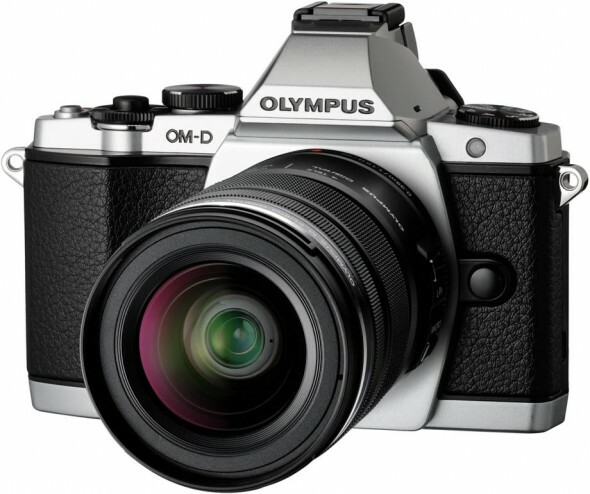 The latest entrant is the Olympus OM-D E-M5 Micro Four Thirds (MFT) digital camera that has claimed a number of firsts. 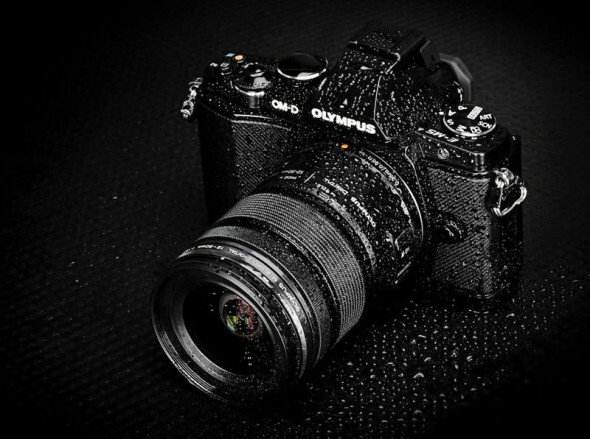 It’s the first MFT rangefinder-style camera with a built-in EVF and the first with a weather-sealed body, it is also the first ever camera with 5-axis image stabilization, while Olympus is claiming that the camera has the fastest autofocus of any interchangeable lens camera. After weeks of speculation, the new Olympus E-M5 Micro Four Thirds (MFT) digital camera has been announced today as part of the company’s new OM-D line. If you’ve been following our coverage so far, then you’re pretty much already briefed on what you can expect from the new Olympus E-M5. 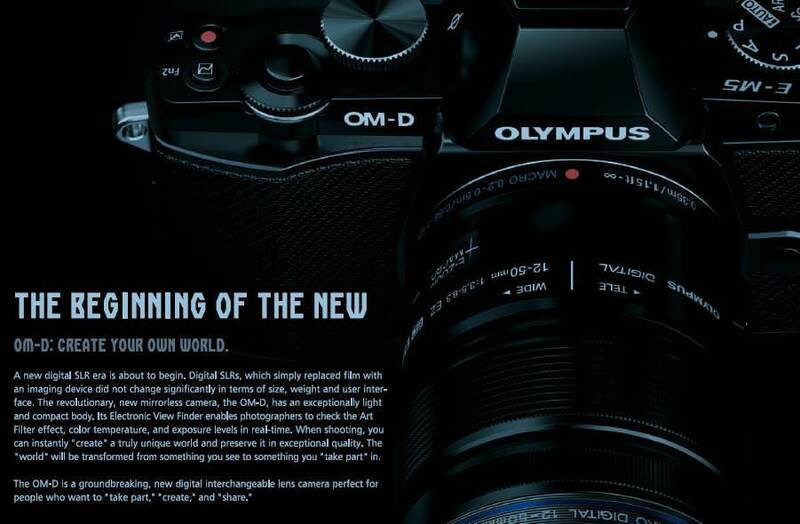 First off, Olympus considered the E-M5 too good for the existing PEN series, so it has created the new OM-D line, borrowing a bit of nostalgia from its original 35mm film OM system. The OM-D line still belongs to the Micro Four Thirds system of digital mirrorless interchangeable lens cameras (MILCs), and a large part of the appeal of the E-M5 is the large selection of MFT lenses. 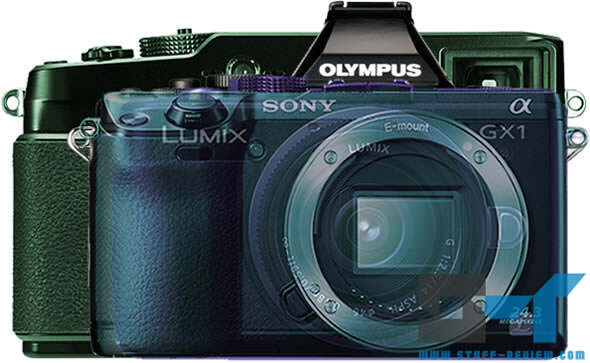 So we finally have full images of the Olympus OM-D E-M5 Micro Four Thirds (MFT) camera. You can enjoy the camera in its entire front and back glory, together with a detachable grip and optional battery grip. Each of the grips comes its unique shutter button. One can see the articulated rear 3-inch OLED display, integrated EVF and the large bulge at the top, which we would guess hosts a pop-up flash. 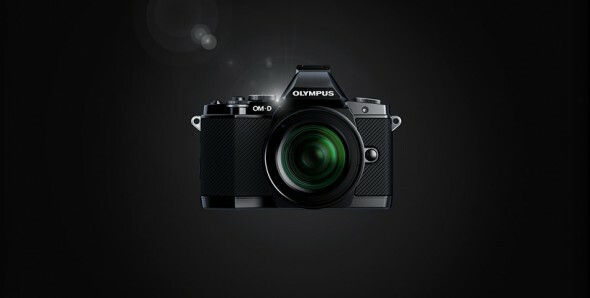 Olympus is truly pushing the pro camera theme with the detachable grip, which gives the camera an SLR-style format. Panasonic has the G and GH MFT series cameras with SLR-style grips while Olympus is only producing rangefinder-style bodies. Olympus OM-D E-M5 mirrorless camera to be announced February 8th? 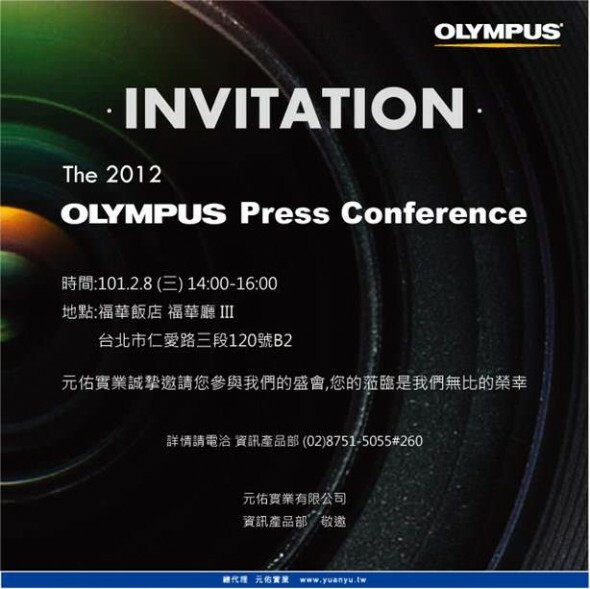 Finally here is the invitation for an Olympus press conference on February 8th. Olympus OM-D EM-5 anyone? If someone would oblige with a translation, we’d be very grateful. It’s been a teaser campaign alright. We first caught wind of the rumored Olympus OM-D mirrorless interchangeable lens camera (MILC) when the company registered it as a trademark with the US Patent and Office at the beginning of the year together with the start of the “OH MY GOODNESS!” campaign. Ever since, we’ve been getting little, tiny, bite-sized pieces of information, such as the first rumored specs and the first leaked pictures. It’s been a long road however, up to rumored February 8th announcement for the CP+ 2012 camera show in Yokohama, Japan.